NEW ~ Coming Soon! 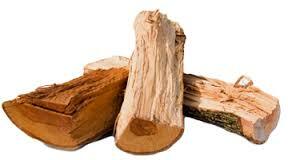 Purchase firewood cutting permits online. More information comimg soon. Fort McCoy offers a firewood cutting program that allows individuals to purchase firewood permits to cut firewood in designated firewood cutting areas. There are two types of firewood cutting permits. Firewood must only be harvested in the designated areas if the areas are open on the GameLine on the given day you plan on cutting firewood. Permits and firewood cutting maps are currently only available through the Fort McCoy Permit Sales Office. Contact the Permit Sales Office regarding current firewood cutting areas and rules 608-388-3337. The firewood permit holder is allowed one vehicle with or without a trailer and helpers to cut, split, and/or load the firewood while in the presence of the permit holder. Permit holders are highly encouraged to have helpers in case of accidents or other emergencies. Permits must be in possession of the permit holder when cutting/collecting and/or traveling on Fort McCoy property. Helpers may have a separate vehicle for personal transportation but are not allowed to load firewood or wood chips into that vehicle and the helpers are not allowed to cut or split wood without the permit holder present. Cutters are authorized to cut and remove wood only on the day or during the month authorized by the permit. Permits may be purchased in advance of the date requested. Current firewood cutting locations: Cantonment Area (down trees only) and Stump Disposal Site (located in training area B-31). Click here for map. Contact the Permit Sales Office at (608) 388-3337 to find out the current training areas designated for firewood cutting. Designated firewood cutting areas may change throughout the firewood cutting season. Attention: Firewood cutting is not allowed during the annual 9-Day Gun Deer season. Wisconsin Firewood Movement Restrictions: Two quarantines affect firewood movement by the public: one for emerald ash borer and one for gypsy moth. New quarantine areas may be added at any time. Click here for further information on state firewood rules. Learn about invasive species in Wisconsin. Permits must be purchased by the permit holder (or spouse) and permits are available online (starting April 2019) through your iSportsman account by use of credit or debit card or the Permit Sales Office located in building 2168 (cash, credit or debit card only). The firewood cutting permit authorizes firewood cutting or wood chip collecting for the permit holder only in designated firewood cutting areas. Must be used for the date listed on the permit. Allowed to cut in designated firewood cutting areas only from dawn to dusk. The calendar month is defined as the month listed on the permit. From the day the permit is issued to the last day on the concurrent month. Firewood will be cut, and wood chips collected in AUTHORIZED areas only. Permit Sales Office will provide maps of designated firewood cutting areas. Designated firewood cutting areas may change throughout the firewood cutting season. Only standing dead trees and dead trees lying on the ground will be cut in designated training areas. Only down trees may be cut in the Cantonment area. Information concerning these areas will be available where the permit is purchased. All cutters/collectors are expected to call the GAME LINE, 866-277-1597 or web site www.mccoy.isportsman.net, to check if the cutting/collecting area is closed to public use because of training activities. The permit holder is allowed one vehicle with or without a trailer and helpers to cut, split, and/or load the firewood while in the presence of the permit holder. Permit holders are highly encouraged to have helpers in case of accidents or other emergencies. Permits must be in possession of the permit holder when cutting/collecting and/or traveling on Fort McCoy property. Helpers may have a separate vehicle for personal transportation but are not allowed to load firewood or wood chips into that vehicle and the helpers are not allowed to cut or split wood without the permit holder present. Cutters are authorized to cut and remove wood only on the day or during the month authorized by the permit. Cutting, hauling, and collecting firewood will be conducted during daylight only. Civilian vehicles must adhere to the posted Black Out Drive requirements. Areas of commercial firewood or timber sales are off limits to firewood permit holders. This wood is the property of a person or corporation and any removal constitutes theft. Activity Information Card. All permit holders are required to display a 5x8 information card on the passenger’s side of the windshield with the following information: Permit holder’s full name, Activity (fire wood cutting, wood chip collecting), and emergency contact phone number. Officers from the Law Enforcement Branch will be routinely patrolling the cutting/collecting areas. Click here to use information card template. Purchasing your firewood permit online will be made available April 2019. More information coming soon.